Linear motion systems are utilized all the time in the world around us. They’re what make factories so productive, cars so luxurious, and our recliners so relaxing. As a business owner, it’s important that you choose the right linear motion systems to operate your products and processes. There are many considerations you need to factor into your overall decision about what to purchase. The first factor you need to consider is the load that the linear system components will bear. This load can be a constant stress or change during the process of use. Understanding the weight of the load that will need to be handled along with the force, whether down, lift-off, or side, will help the linear system manufacturer design a specific product that works for you. If the products are chosen with disregard for the load force that they will encounter during use, it’s likely the system will break down under the pressure of the load. The next consideration you need to take into account when selecting the right linear motion system for your products is their specific orientation. The orientation is simply understood as the direction in which the force will be applied. Will the force be applied in a vertical, horizontal, or upside-down method? For example, roller slides can produce force in various directions. By understanding the orientation of the system, you can better understand how it will uphold the load and whether or not it will produce a pitch moment. 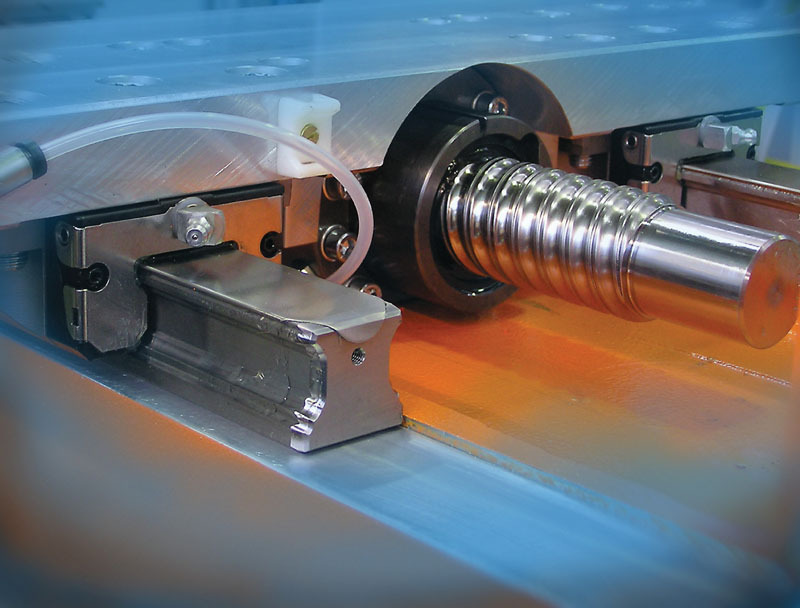 Speed is the third factor you need to consider when picking a new linear motion system. Understanding whether the motion you need is constant or whether it includes acceleration and deceleration will affect the speed of the motion system you use. In addition, the movement profile of the system, whether triangular or trapezoidal, will affect the speed of the system as well. Knowing what type of speed, you need to accomplish, sustained or variable, and the cycle time you want to aim for you can better select a linear motion system that will meet your needs. The fourth factor you need to consider in your decision process is travel. This takes into account the range of motion and area of overtravel. Your process is going to need a specific range of motion in order for the system to complete the certain task. You will also need to figure out what the overtravel distance is. This is considered a safe distance that will allow the machine excess space in the event of an emergency stop. The last factor we’re going to talk about is precision. This is an important area that requires some exact measurements for the proper construction of the linear motion system. There are three areas of precision you need to know about, which are travel accuracy, positioning accuracy, and repeatability. Travel accuracy is how effectively the system moves from point one to point two. The positioning accuracy is how close the system gets to the target position. Lastly, repeatability is how accurately the system moves back to the same start position to repeat the process. As you can see from the information above, there are many factors to consider when selecting a linear motion system. These are just some of the various factors that should be included in your decision. We encourage you to take the necessary time to ensure that you cover all of these areas so that the linear motion system you purchase does the job you intend it to do correctly.